Working in summer weather can be a real drag. You need a short sleeve tee shirt that's tough enough to last the summer, but you also want it to be lightweight enough that you're not melting beneath the sun. With this CAT Apparel Men's Black 1510296 11560 Hi-Vis Log ... (see full details) (see specifications) #1510296-11560. Working in summer weather can be a real drag. You need a short sleeve tee shirt that's tough enough to last the summer, but you also want it to be lightweight enough that you're not melting beneath the sun. With this CAT Apparel Men's Black 1510296 11560 Hi-Vis Logo Short Sleeve Shirt from Working Person's Store, you'll have both, creating lightweight quality you'll love. Any good men's t-shirt must be comfortable, and this hi-vis logo shirt is. It is crafted from 4.7 ounces of 100% cotton peached jersey. Cotton is a soft and breathable material, so it's perfect for warm weather conditions. The black CAT shirt is also made with a Spandex rib trim for a comfortable, flexible fit and a tagless neck so that you don't have to be pestered or irritated by a traditional loose fabric tag. Finally, the cotton tee is ideal for summer weather because it features short sleeves, which offer great breathability. In addition to comfort, the tagless shirt is functional. It features a wire management loop on the back neck to make hanging it easy, and it also features a CAT hi-vis logo, which helps to attract others to your presence to keep you safe. 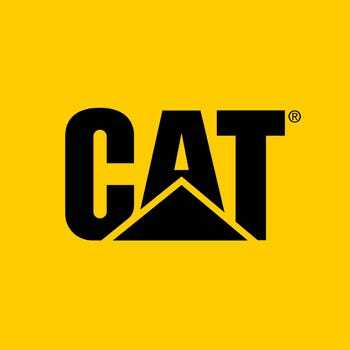 Lastly, this black shirt is in fact made by Caterpillar. Quality craftsmanship is synonymous with the CAT name, and you’ll find that this design is no exception. This CAT Apparel Men's Black 1510296 11560 Hi-Vis Logo Short Sleeve Shirt is the perfect blend of toughness and lightweight comfort. Get it here at Working Person’s Store today. CAT Apparel Shirts: Men's Black 1510296 11560 Hi-Vis Logo Short Sleeve Shirt is being added to your cart.